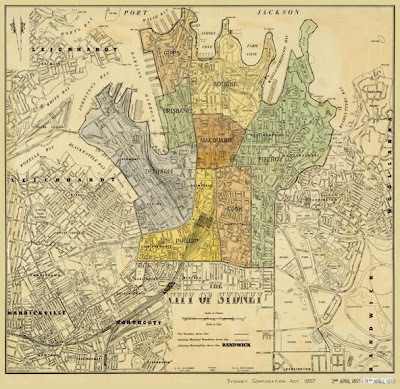 The Atlas presents digitised versions of maps and related cartographic resources, covering mainly the City of Sydney local government area but also more widely in the County of Cumberland region. Dating from 1842, maps can be downloaded in PDF so that you can see the street names and boundaries in detail. A wonderful site well worth a look. Photo: City of Sydney 1857 to 1870. Source: Historical Atlas of Sydney.